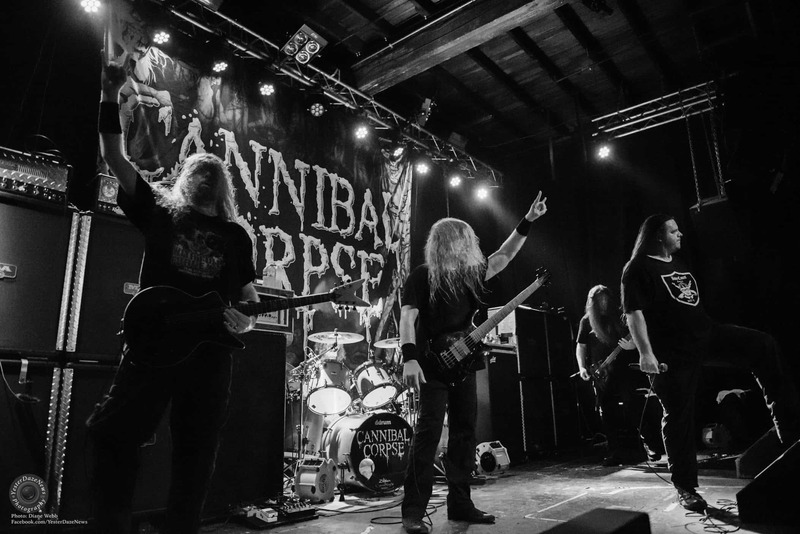 I had a chance to chat with Gary Spivack, Executive Vice President for Danny Wimmer Presents about the new festival, Houston Open Air, which will kick off its debut the weekend of September 24-25 at NRG Park in Houston, Texas. This new rock music festival is for Houston and the Texas region and is set to be a premiere rock music festival with a Houston flare. If you haven’t heard about the festival yet or have heard and are interested in the background and details about the new festival, then I have the right information for you. I for one, am really excited for Houston and rock fans in the region having this new option to get out and celebrate live rock music. I hope you enjoy this interview and more festival specific information follows the interview. Cheers! YesterDazeNews (YDN): Danny Wimmer Presents has been running a number festivals up and down the eastern USA and Aftershock in California with a lot of success. How long has Danny Wimmer Presents been putting on festivals? Gary Spivack (GS): Our vision started with Rock on the Range in Columbus, Ohio which just celebrated it’s 10 year anniversary and since then we’ve expanded as a company into events such as Welcome to Rockville in Jacksonville, Florida, Louder Than Life in Louisville, Kentucky, Aftershock in Sacramento, California and of course Houston Open Air. YDN: I have been looking through the DWP festival list and it’s quite impressive. Myself, I tend to end up over in Europe during the summer at a few festivals because the USA just seems to be behind on having as many options and in Europe they are all over the place and massive so it’s easy to go to a few there and see lots of great bands. For me, I am always looking for a new festival or new options to check out. GS: We obviously want to take a page from the European model in terms of how a festival is curated and how the experience is so important because the days of putting up a couple of stages and serving stale beer, corn dogs and churros is yesterday’s news. Unless you don’t want to be successful you’ve got to have a lot to offer. The European model does a good job of it. Not only do they offer a good/wide variety of music but also what we dub as great secondary entertainment. That’s quality beverage, great food, great sponsor activation, great vendor villages and just have an overall experience for the consumer. YDN: What initially brought on the idea of this new festival in Houston? GS: Houston is just a great rock n roll town and we’ve been eyeballing Houston for a number of years to be honest with you. It’s just been waiting for the right time, weekend and venue. We felt we landed all of that with NRG Park, with the weekend and the right bands to launch Houston Open Air. It’s a great rock n roll town, they have some really good media. Houston has some great media partners including The Buzz (9.45 The Buzz) in Houston. Great radio station, we wish there were more Buzz’s around the country. YDN: I absolutely agree with you there. 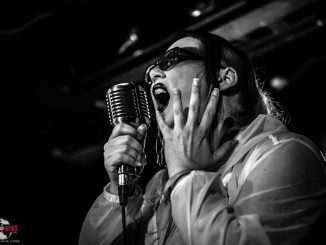 I lived in Texas and the rock music is much more established and thriving than where I am currently (Seattle) and we tend to struggle with getting a major festival in our area as far as rock music is concerned. Don’t get me wrong, we love our rock music up here, we just don’t have a true rock festival here yet and would really like one to come in to our region. For now we get a one day show with multiple artists, not a true sense of a real rock festival. YDN: So as far as NRG Park goes, Houston Open Air is slotted as an outdoor event. How many stages will you have there? GS: We are going to have three. There will be two main stages and a stage three. The music is going to be constantly rotated between stages. You will have music from doors open all the way to curfew (close). You know, twelve hours of rock n roll, three stages and anywhere from eighteen to twenty bands performing per day. YDN: Were there any major obstacles to overcome to create HOA? GS: Not really. There’s the three big things you need to cross off on your short checklist which is right venue, right time and right bands. We feel we went three for three on that. We are having bands like Avenged Sevenfold, Alice In Chains, Deftones, Slayer and then having something fun like Chevy Metal which is Taylor Hawkins of the Foo Fighters side band who’s just going to play an hour of the best classic rock. Then you have young bands like Pierce the Veil and Amity Affliction. So you have bands like “Pierce” and “Amity” up to Slayer and then having bands like Alter Bridge and CheVelle in the mix. So if you’re a rock fan or a fan of just great energy and electricity this is the festival for you. YDN: Most fans only see the finished product, the event. How much planning goes into a festival like this? GS: It’s a 365 day a year siege. Once we check off the major bullet points on the checklist, its go time. You can have the greatest beer, food and sponsor activation in the world but if you don’t have the music to be your primary source of entertainment then you’re nothing. We feel like we’ve knocked this one out of the park with getting the bands we have in the lineup. So it’s a big process. YDN: How did you pick your partners/sponsors? GS: Each festival whether it’s “Rock on the Range”, “Louder Than Life”, “Rock Allegiance” or “Houston Open Air” you are going to have some of the same bands but I think you will notice we try to regionalize to make each festival its own. We have some national partners like Monster Energy Drink and FYE which will be there onsite to have artist signings and sell their music, but you will see some stuff that is really regionalized just for Houston and the state of Texas. YDN: Are there any planned but unannounced surprises at the event? GS: From everyone like Chevy Metal or Jim Breuer you never know what you’re going to get or who’s going drop onto the stage. So yes, we anticipate surprises during the festival. Avenged Sevenfold is going to release a new CD on Labor Day and things like that which are very exciting and they will most likely be debuting their new song live to the public at Houston Open Air. YDN: I see that Monster Energy and FYE are planning some artist signings. Will HOA also have artist signings going on outside of what Monster Energy and FYE will be doing? GS: It will predominately be Monster Energy and FYE running the artist signings. As we get closer to the festival any additional details will be added to the Houston Open Air website, but Monster Energy and FYE are pretty much the ones who handle the artist signings and schedules. YDN: The weekend of Houston Open Air is the same weekend that Ozzfest/Knotfest in happening in California. There are many people who travel to catch good festivals. What do you say to traveling fans that are debating between the two? GS: Well Ozzfest/Knotfest is in California and for many that’s a two plus hour flight, renting a car and hotel. Like I said, we really want Houston Open Air to be a regional festival for the people in and around the surrounding area. We want those people to be able to pick this festival and have something they can call their own. Having said that, we already have and will have more tickets sold to fans from outside of the Houston area, but we really want this festival to be special for Houston and its surrounding area. YDN: Any future expansion plans outside of the areas that DWP normally works in for a new festival? Say maybe to the Pacific Northwest? GS: We want to make sure that when we pick a new market that it’s not flooded with festivals. When we picked Houston, obviously Cynthia Woods was a great venue and The Buzz has things like Buzzfest and great events, but there wasn’t a destination rock festival where Houston could have their own in terms of rock and hard rock. So we felt it was the right lane at the right time for Houston Open Air. If its markets we have to make sure it’s at least original enough and not over played. The Northwest is something we are looking at, we know that Seattle and Portland have a great appetite for rock music. So you never know, but timing has to be right for any new festival. YDN: Any final words to the fans? GS: Everybody who’s a fan of energy, controlled chaos and rock n roll can come to Houston Open Air and build something with us and that Houston can call their own. YDN: Houston Open Air looks to be a great festival and like it’s going to have a great kick off in its first run. There is a lot of buzz over this new festival and it’s been really positive so I can’t wait to see this event and fans. Thank you for your time and looking forward to the show. 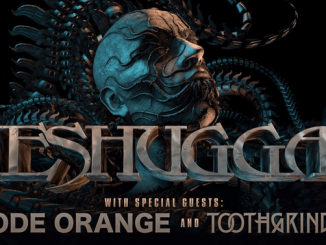 Meshuggah Announce 2018 North American Tour with Code Orange & Toothgrinder!